Voir les résultats lus par "Dave Summers"
Work + produce = reward. This is thought to be the algorithm that inspires efficiency across the workforce. 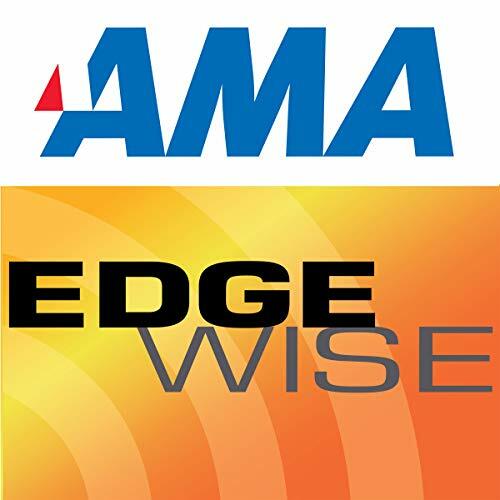 In this episode of Edgewise, best-selling author Dan Pink discusses his findings, based on over 40 years of research: that the stimulus for success isn't just the almighty dollar, but the presence of autonomy, mastery, and purpose in an employees work life. It's tough for corporations to strike the right chord of corporate responsibility today’s fickle economic climate. While more companies are starting green initiatives to project a positive public image, they are also cutting back on employee development. Carol Sanford, CEO of InterOctave Development Group and author The Responsible Business: Reimagining Sustainability and Success, contends that this kind of dissension creates a less than harmonious corporate culture, which ultimately leads to failure. Nelson Mandella, Mahatma Ghandi, Martin Luther King Jr. They all had something in common: the ability to inspire people and make them want to change. Vineet Nayar looks to them as an example of how to effectively manage a company, by inspiring and listening to the employees and making them the priority. That way managing people becomes less about directing them in what to do and more about motivating them to make their own decisions. We're constantly trying to make changes that don't align with our brains. We make New Years resolutions and try to keep up with the news and watch movies about people achieving great things while not doing much ourselves. Carlie Harary, author of Unlocking Greatness, joins us to talk about ways we can relax more while still becoming the kind of person we dream we could be. AMA Faculty member and author Ash Seddeek joins us to review some of FranklinCovey's 7 Habits and share some of the things he's learned from his years as an executive coach and trainer. The last time Dan Schawbel was here he talked about the wonders of technology. Now he's returned to tell you to back off of your screens. In his new book Back to Human he argues we're suffering from a loss of human connection, it's time to get out there face to face and connect with our co-workers, friends, and family once again. We're all born with inherent dignity. However, according to Dr. Donna Hicks, author of the new book Leading with Dignity, many of us have to be trained to learn how to recognize when we're being treated with dignity and when we are not. She joins us to talk about ways we as leaders can extend not just respect but dignity to those around us. If you've ever taken an Uber you know that you give your driver a rating at the end of your journey. You probably know that their job depends on how good their average score is. But do you know how high that score has to be before they are essentially fired? And did you know the drivers can rate you too? Alex Rosenblat, author of the new book Uberland: How Algorithms are Rewriting the Rules of Work, joins us to go behind the scenes on what your drivers are dealing with and the difficult choices they often have to make. The story of Apple's success with the iPhone is that they didn't make a product people wanted, they made a product people didn't even know they needed yet but very soon had to have it. Today we're talking to Ken Kocienda, the creator of auto-correct on your iPhone, about what it was about Apple that put them so far ahead of the competition. You've heard of personality assessment tests before. You've probably taken one (or two, or three). But can you remember your personality type? Can you identify the type of the person sitting next to you? Probably not. That's why Suzanne Vickberg and her co-author Kim Christfort developed Business Chemistry, a personality test that's easy to remember and easy to distribute through your team. Whether you're working with gig workers or people in multiple offices worldwide, these days we're seeing more and more teams spread out across the globe. Technology makes remote teams easier but it can only help so much. Kevin Eikenberry, co-author of The Long-Distance Leader, joins us to talk about some of the challenges to working remotely, the expected ones and some that you might not have thought of. If you want to learn about disruption, look to Lady Gaga. She was a record-breaking pop-star who decided to make a jazz album with Tony Bennett, completely counter to what anyone thought her audience would like. Whitney Johnson, author of the new book Build an A-Team, joins us to talk about successful disruption and how it can apply to your work. Customers these days look to brands to solve their own personal problems and also work towards solving wider global concerns: they want the paper towels that will clean up messes in the kitchen and also made sustainably so they don't destroy the environment. Anne Bahr Thompson, author of Do Good: Embracing Brand Citizenship to Fuel Both Purpose and Profit, is here to talk about aligning your purpose and your brand to win more customers but also to improve the world. Wish you could find more purpose and meaning in your work? Dr. Leah Weiss, author of How We Work, has techniques to shift your mindset away from work as a transaction of trading time for money and toward something more positive and motivating in the long run. You don't have to be giving a TED talk to benefit from learning how to speak and tell stories well. Whether you're pitching a new project to your team or pitching yourself to an employer during an interview, the people who tell the best story see the best results. Carmine Gallo, author of Five Stars: The Communication Secrets to Get from Good to Great joins us to talk about how good communication is vital no matter what your level you are in your company. Can everyone run a marathon? Yes and no. A lot of people can but not tomorrow, not without training. The ones that want to will put in the work. To Fred Kofman, the same metric applies to leadership. It takes effort but the ones who put in the time will be able to learn how. He joins us to talk about some more of his leadership insights from his new book The Meaning Revolution. De : Cal Turner Jr.
Cal Turner Jr. was the CEO of Dollar General for decades after inheriting the business from his father. He joins us to talk about how faith and family helped him turn a million dollar business into a billion dollar business, plus a few stories from his new book My Father's Business: The Small-Town Values That Build Dollar General into a Billion Dollar-Company.